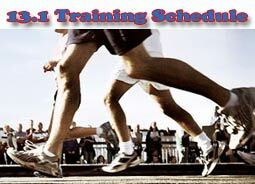 THis Half Marathon Training Schedule is a 12 week training schedule. Who is this training schedule for? 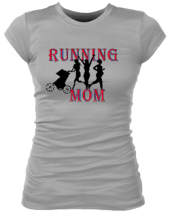 Someone who can already comfortably run 3-4 miles. It doesn't matter if you're a slow or fast runner, if you take walk breaks or run straight through. As long as can comfortably run at least 3 miles at the start of this half marathon training schedule, you should be good to go. X-train is short for cross training. A great cross training workout is a workout that doesn't put a lot of pressure on your joints and feet since running already takes care of that. 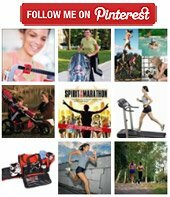 Some great cross training workouts are biking, swimming, pilates, yoga or strength training. However anything that is not running counts as cross training. Even if you just go for a nice walk or train on the elliptical machine at your gym, it still counts. This training program does not have any speed training built into it. However to improve your overall running fitness, you might want to make one of your mid-week runs a speed training run. Some good speed training runs are hill training, fartleks or intervals.